Water Jet Cutting is remarkable in the fact that it virtually cuts anything you put under it. 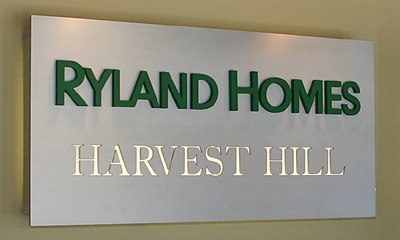 Beautiful signage can be created by layering stainless steel, copper, brass or any metal. and natural stone sheet such as marble or granite for a look that is uncomparable. look to any project. Give your projects the look of eloquence. FMSI produces art at affordable prices.